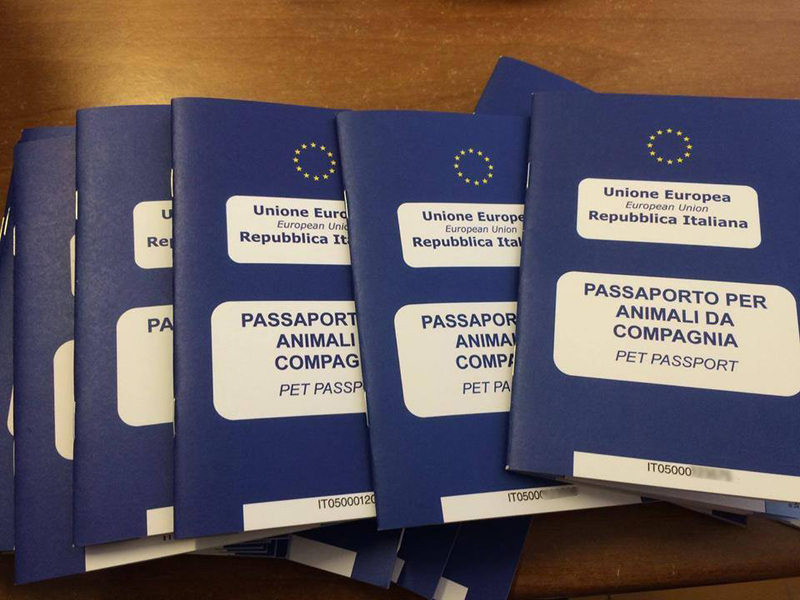 When we have heard of a dog that is a possible candidate for rehoming, our associates and friends in Italy liaise with the refuge (or occasionally directly with the owners) to confirm that they will allow the dog to be adopted overseas. If they are willing, we get an assessment of the dog’s situation, age, character and needs, and start to share the details via Facebook to look for a suitable home. Once you have decided to offer a home to a dog, we will ask you to fill in an application form. Each application is discussed by the committee together with the foster home or refuge. We are very much are guided by the opinions of the volunteers in Italy, as they know the dog best. Sometimes a dog is lucky enough to have several applications. Please do understand that if it turns out that another home is a better fit for the dog, it is nothing personal – much of the process is about matchmaking. The dogs’ needs always come first, and we work with the refuge or foster home to give that dog the best possible chance of a successful rehome. We then move forward to home checking. Home checking is a normal part of every re-homing process in every organisation. 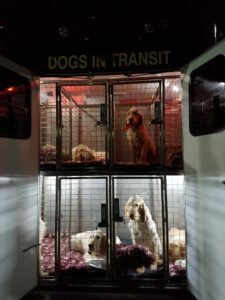 For SOFA, as we are rehoming from overseas, it has an additional importance as the volunteers in Italy are giving us a great deal of trust in letting us take the dogs out of the country. 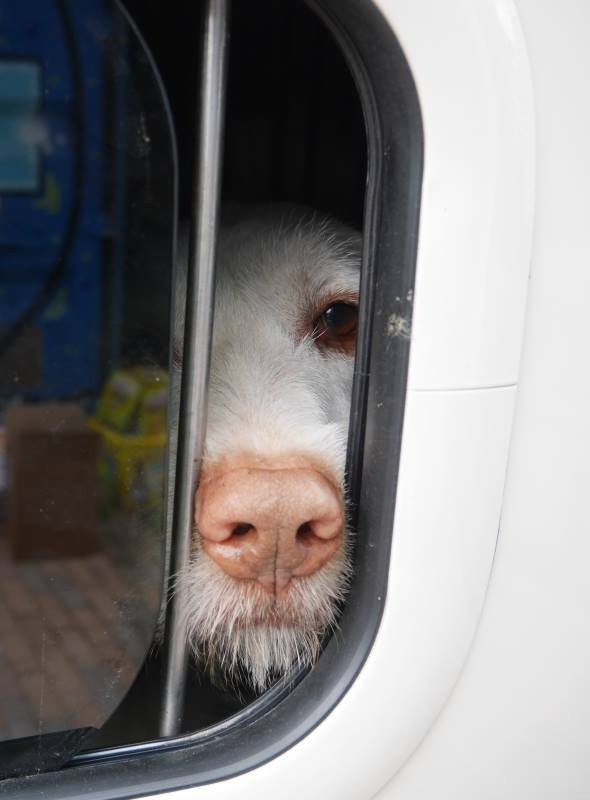 In Italy it is much more normal practice to re-home dogs only within visiting distance of the refuge, where the refuge continues to monitor them. The visit gives an independent confirmation that the information in the adoption form is accurate, that your home and the dog are well suited to each other, and gives you a chance to discuss issues related to the breed and rescuing. A volunteer in your area will ring or email you to arrange a convenient time for a visit, which normally takes around an hour. 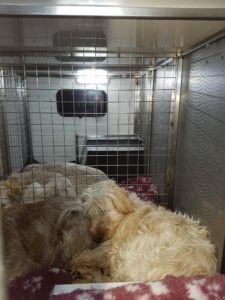 Whether or not the application is confirmed is not decided by the home checker – they feed back their form to the committee who again discuss, together with the Italian volunteers, whether the home is a good fit for that particular dog. With everything confirmed, we then ask you to sign the adoption contract. Any other medical fees needed, for instance spaying or neutering. 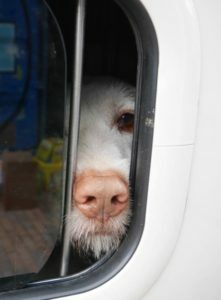 Transport is normally via DEFRA registered dog transporter, though may be by volunteer, depending on availability. If possible the dog is transported directly to the new home. Sometimes this is not possible and the dog may have to be collected at a drop-off point. There is advice on this page on arrival and orientation. The agreed adoption donation is transferred to us in the week after the dog arrives. This contributes towards the costs, and we fundraise the rest of the money needed. 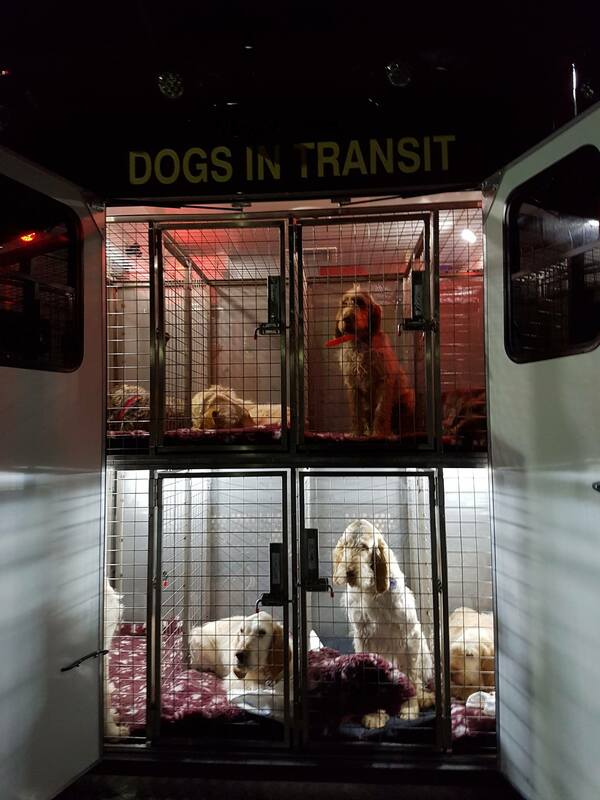 It costs in the region of £400 to £500 to prepare and transport a dog. The costs vary from one dog to the next but usually include blood tests for diseases, vaccinations for rabies, parvovirus, distemper etc, neutering, passport preparation, worming before travel and the transport itself. We seek to fundraise for some of that amount but would be grateful if the adopter could contribute between £300 to £400. However, our priority will always be the right home for the animal’s needs. Please do contact us rather than be put off applying. Settling into their new life, and afterwards. Advice on settling in is also on this page, and we generally keep in touch with you regularly over the first few weeks and as needed ongoing. We also keep a list of potential fosters, both short and long term. If adopting a dog is difficult we consider placing it in foster in order for the dog to be more closely assessed and begin its rehabilitation. And though it is rare, sadly, an adoption may not work out well. In this case we place the dog into a suitable pre-checked foster while we search for a new permanent home. Please do contact us if you are interested in fostering. Vera on arrival at the refuge was in a sad state, but her new home has transformed her!